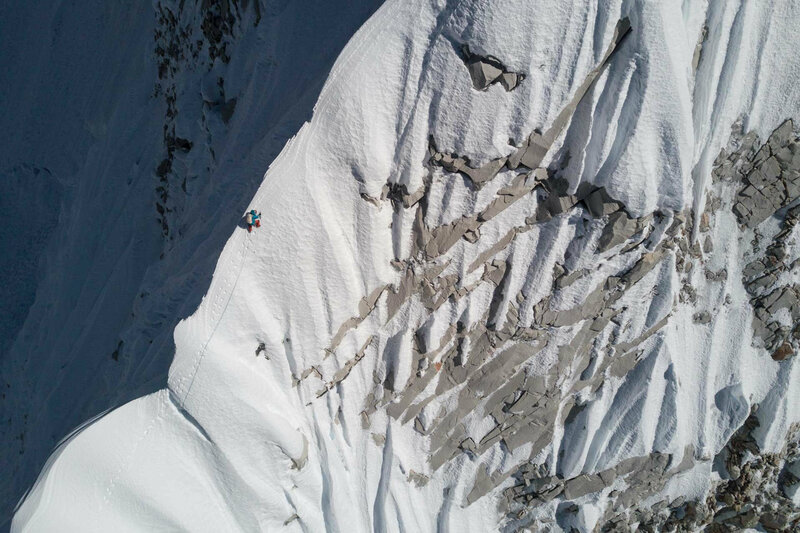 Today's spot the human dot competition comes courtesy of the Austrian lunatic mountaineer David Lama. A click on an image will display a larger version in a separate browser tab. 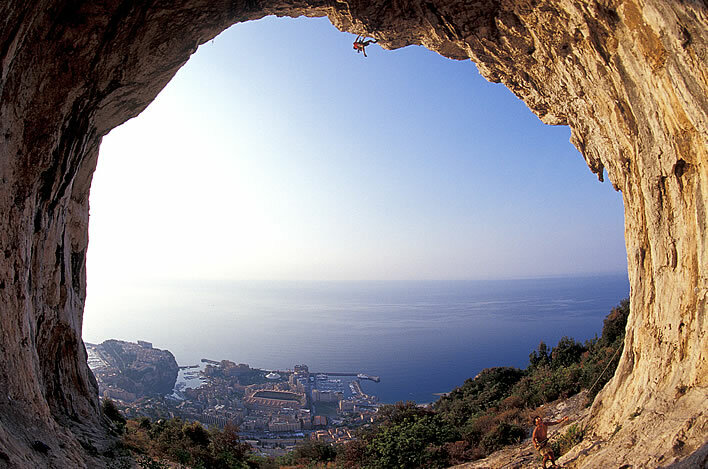 Let's start with an easy one: gambolling on rock above Monte Carlo in 2001. Image: ©R. Eder/David Lama. A walk on the wild side approaching the peak of Lunag Ri, a 6907 m mountain in Nepal. 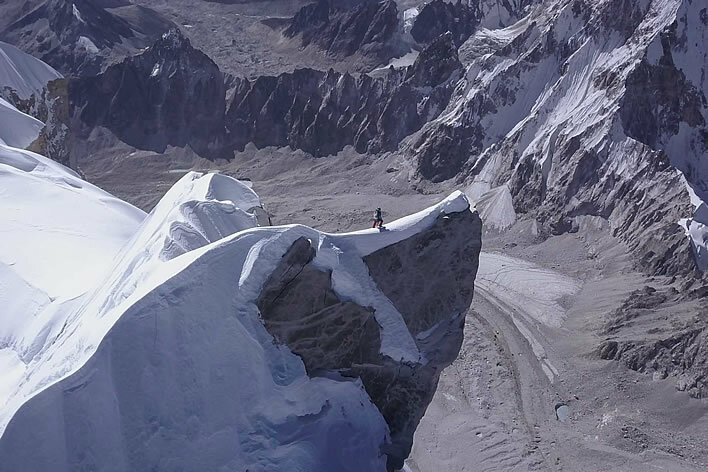 Image: David Lama. On the peak of Lunag Ri, 2018. Probably wise to stop walking soon, David. The first ascent, solo, 26.11.2018. 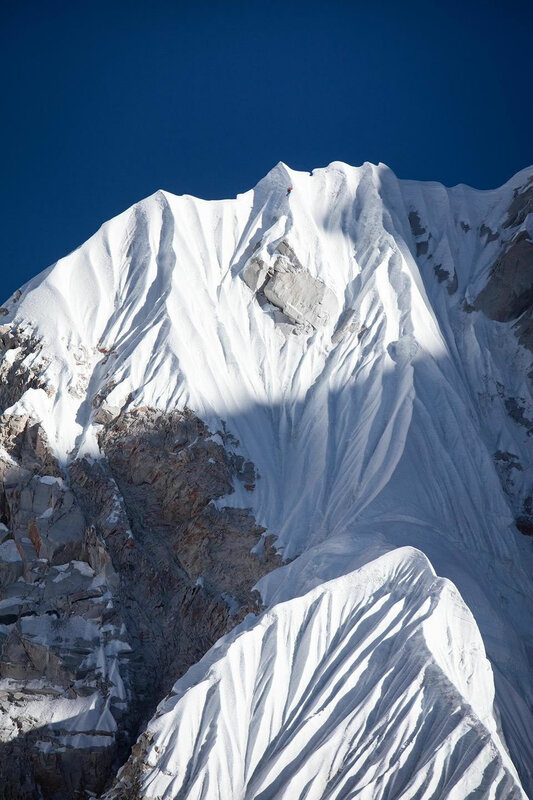 Image: David Lama. On the ridge of Lunag Ri, 2018. 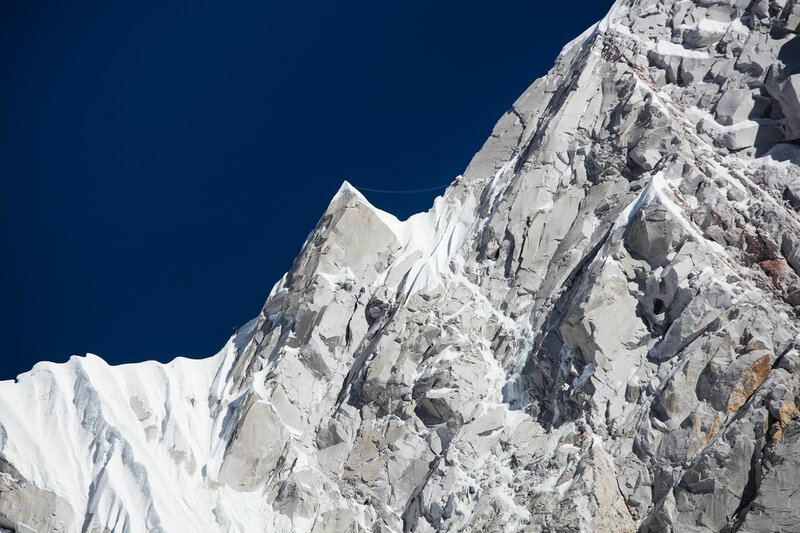 Image: David Lama. Two dots One dot on the first ice ramp on Lunag Ri during an attempt in January 2016. Image: David Lama. Two dots on the ridge that follows the exit from the ice ramp. 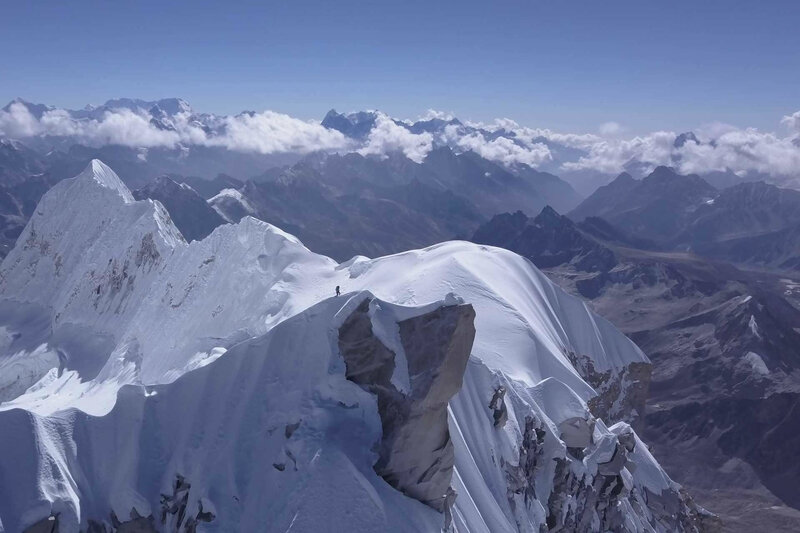 Image: David Lama. Update 20.04.2019: David Lama died in an avalanche on Howse Peak in the Canadian Rockies at the beginning of this week. 09.12.2018 – What's in a name? The new Chair of the CDU party in Germany is Annegret Kramp-Karrenbauer. Yes, you heard that right, Vinaigrette Crump-Horsepower. She defeated her main challenger, someone with the ridiculous name 'Merz' – I mean, who can pronounce that? – by a margin of a few votes. No matter. Frau Cramp-Lawnmower is now the favourite to replace the Chancellor, Angela Merkel, when she ascendeth into Heaven to sit on Konrad Trump-Adenauer's right hand in a couple of years. In a considerate gesture for the dyslexic news anchors around the world, Mrs Krap-Batterypower styles herself simply AKK (not FKK or AKW, please note, not even AK47 or JFK and definitely not KKK or KAK). In these days of violent twitterstorms, readers will have to make their own private guesses about what the speakers of Asian languages will make of her name. The general opinion of the German media is that Mrs Camp-Babyshower has exactly the same opinions about everything as Mrs Merkel, which will bring some much needed continuity to German politics. The Figures of Speech 'First Law of German Politics' thus continues its triumphant progress: In German politics, nothing ever changes. Except the names, of course. 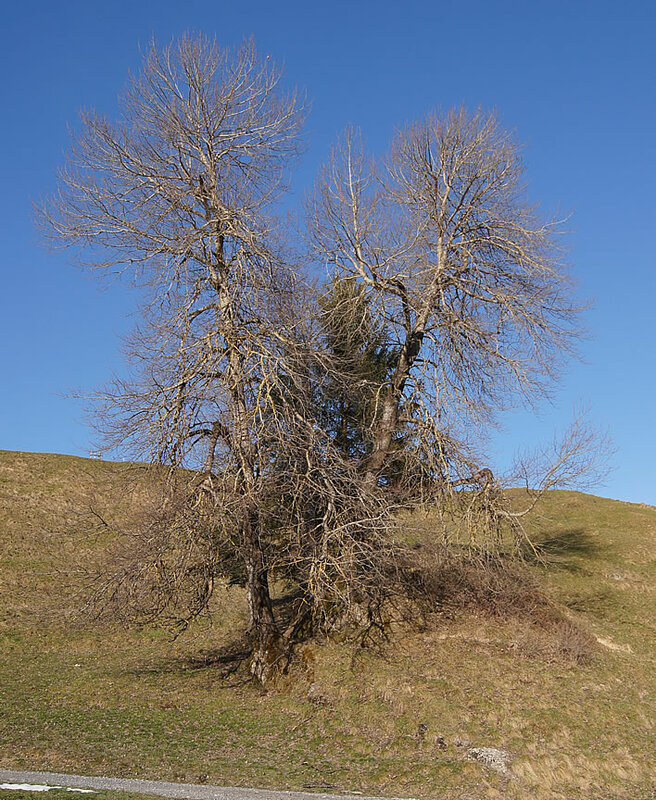 A good solution for the stressed: watching our solitary aspen live through just one of its many years. Hovering the cursor over a thumbnail or the current main image will display in a tooltip the date the photograph was taken.